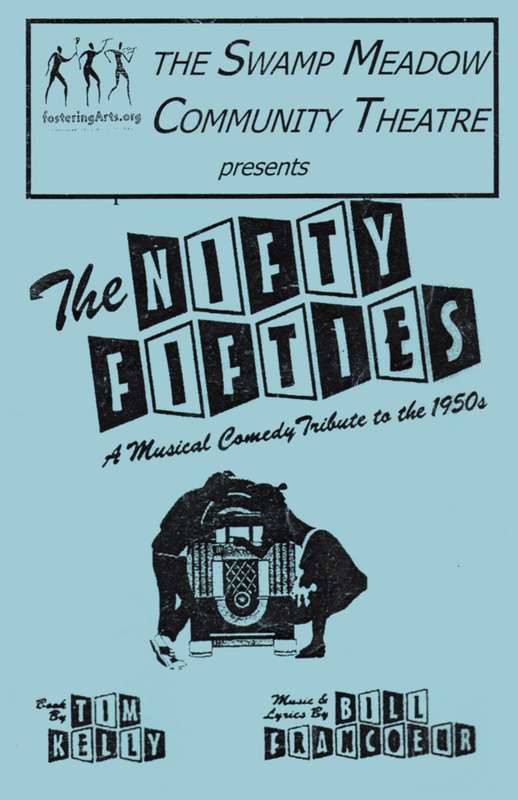 In Spring 2004 Swamp Meadow Community Theatre performed The Nifty Fifties, a musical comedy tribute to the 1950s by Tim Kelly and Bill Francoeur. Starring Heidi Haskell and Russell duCharme, the production was directed by Jocelyn Dube and choreographed by Nikki Carrara. Bob Hollis served as producer. The musical was performed on on May 14th, 15th, 16th, 21st, 22nd. and 23rd at the Capt. Isaac Paine School in Foster, RI. 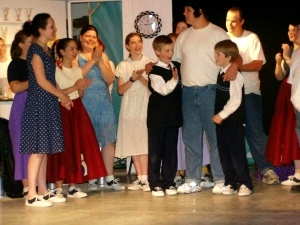 Heidi Haskell, Russell duCharme, Peter Cashman, Austin Lusignan and Company of The Nifty Fifties.